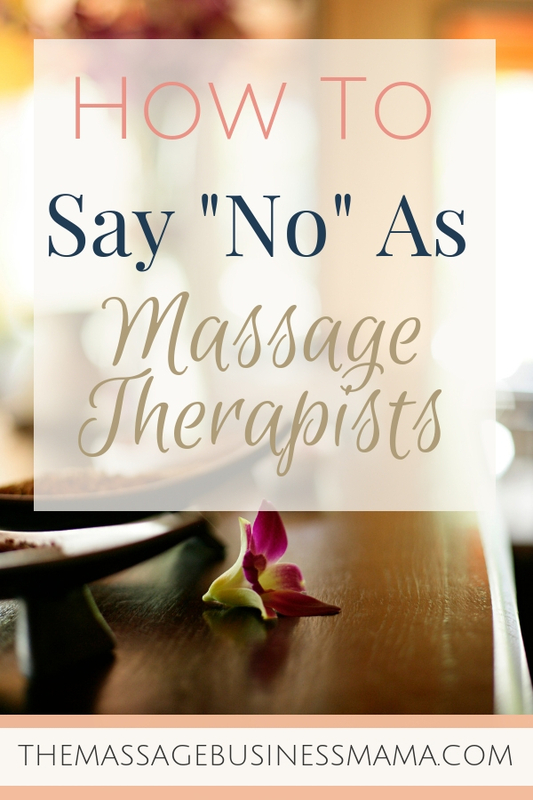 In this Post: Saying “no” can be a hard thing, especially saying “no” as massage therapists! We as caregivers strive to make sure our client’s goals and needs are being met. But when we fail to consider our own needs we are are jeopardizing our own health and well-being! The ability to say “no” is probably one of the most important things you can learn as a massage therapist, much less a human being. So often in life, we feel bad setting limits or feel like we are letting someone down when we don’t agree to do something they have asked. This leads us to say “yes” when we really don’t mean it. Choosing to say “yes” when we mean “no” is bad for our health and well-being. We as massage therapists are especially susceptible to having a hard time saying what we mean. Being caretakers, we want to do everything in our power to make sure our client’s needs are being addressed, it’s in our nature. But remember, you can only take care of other people when you are also taking care of yourself! My mother always said, “Don’t say yes, if you can’t say no, don’t say okay if it really ain’t so.”. I have tried my whole life to live by these words. At times it has been much easier than others. Truth is, your “yes” carries a whole lot more weight if you are able to say it only when you genuinely mean it. Why Is It So Hard To Say “No” As Massage Therapists? The most simple answer, fear. We fear rejection. The fear of rejection is a powerful human motivator! We all want people to like us, and when we say “no” we think people may not like us anymore. The truth is, people respect someone who is clear about what is and what is not acceptable in their life. Here is a question for you, would you rather be liked or respected? For me, I’d rather have respect. I’d rather have people know that they can count on me to follow through with the things I commit to rather than be someone who over commits and cannot follow through. Because you know what, being liked is fleeting. Compare that to the accolades you will receive for successfully following through with the things of which you have committed. People are amazed when you follow through with what you say you will. It is a rare trait these days. We fear poverty or loss of income. Maybe we are always saying “yes” to every massage that comes in after hours, to the detriment of our relationship with loved ones, or our own health. When we don’t set limits and boundaries on the amount of work we are willing to do we risk burn-out. Now don’t get me wrong, there are times when it is essential to grind. Anyone who has lived in a resort community can tell you the importance of this. Times of feast or famine are real! During these times, we need to take the work when it comes. So maybe it isn’t about saying “no” to work, it’s about saying “no” to the party which our friend invited us, or the 5 am workout class which we are registered. It is all about figuring out a way to have a balanced, yet fruitful life. We fear losing our job. Maybe we are new to a job and really want to impress our boss, or maybe our boss expects a lot from us. The truth is, your boss probably expects you to say “no”. If they don’t, you probably shouldn’t be working for them. Inevitably clients will want massage 15 minutes after your shift ends. Some days this may work for you, while others it may not. If you find yourself feeling like you have to always say “yes” to this work, have a frank conversation with your boss or supervisor about what their expectations are. A good boss will tell you that they only want you to say “yes” when you really mean it! If you are not able to say “no” you will probably find yourself in a situation where you are burnt-out! Your body will be tired, your mind will be frazzled, and your soul will be raw. There are only so many massages we can perform effectively in one day. Burn-out is a real thing. It happens. Don’t let it happen to you! In order to prevent burn-out, you will need to establish defined boundaries. The first step to establishing these boundaries is to get clear with yourself about what works for you. 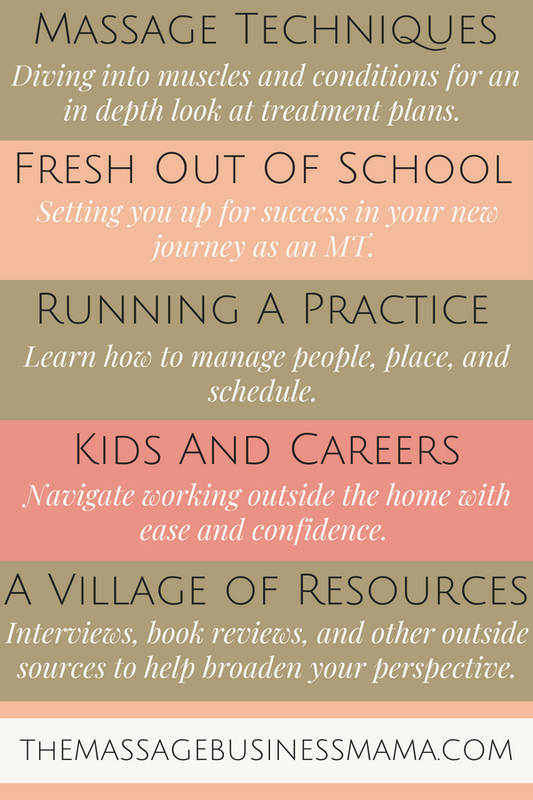 Once you have worked through these things in your mind, you can start to reach out to clients, or your employer with your newfound limits. Also, don’t be afraid to reassess these boundaries from time to time. Things change, expenses arise, kids happen, and life takes turns, it’s best when we can flow with these changes and not be so rigid that we miss opportunities for growth. Read about when I set restrictions on the hours I was willing to work after having my son. If we never say “no” than we are constantly over-committing ourselves. It’s hard to do a good job at anything if you are saying “yes” to everything. You will find yourself spread so thin that you begin to operate in a fog-like trance, leaving wallets in shopping carts, phones in public restrooms, and children at playgrounds. Sometimes it is important to be flexible, but other times you need to set limits. Know the difference. Maybe you have a boss who asks too much of you. Unless you are able to say “no” to them, perhaps this environment isn’t the best for you. Maybe you have clients that always push your boundaries. They may want you to give them extra time, work on days you have committed not to work, or ask for inappropriate types of massage. Check out more on illicit massage requests here. Whatever the request is that pushes outside your limits, make sure to address it. You will feel better addressing it than letting it fester, and sometimes this means actually firing a client. Not an easy task to fire a client, but sometimes a necessary one! Learning how to mean what you say will serve you well in the years to come. Give yourself the permission to utter the simple word “no”. Whoever it is that is asking you something you aren’t comfortable with will learn that you have standards, boundaries, and priorities. And the more you start saying it, the better you will get. What have you had to say “no” to lately? Please share in the comments below!